In any business receipt transaction, it is always important that you secure a receipt. It does not only help you take note of your spends in a period of time, it also becomes your legal document in case you encounter a problem with the product you bought. Getting a receipt should be one of your priorities before leaving the counter. There are many ways a receipt can be used used and in many fields to incorporate it. There are salary receipts, restaurant receipts, and even donation receipts. However, most people are not aware that there many more variations of it that what we can can imagine. One of it is photography receipt. Haven’t heard of it? Well, let’s go find out. 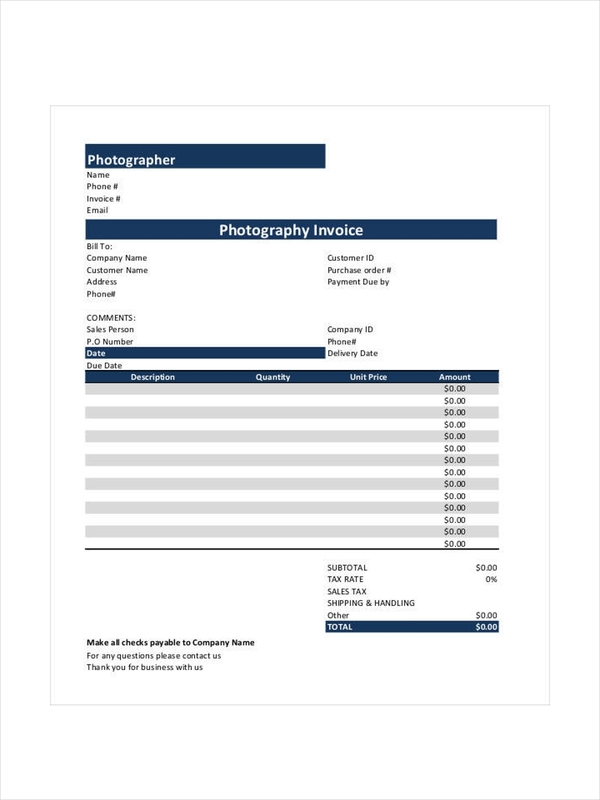 What Is a Photography Receipt? 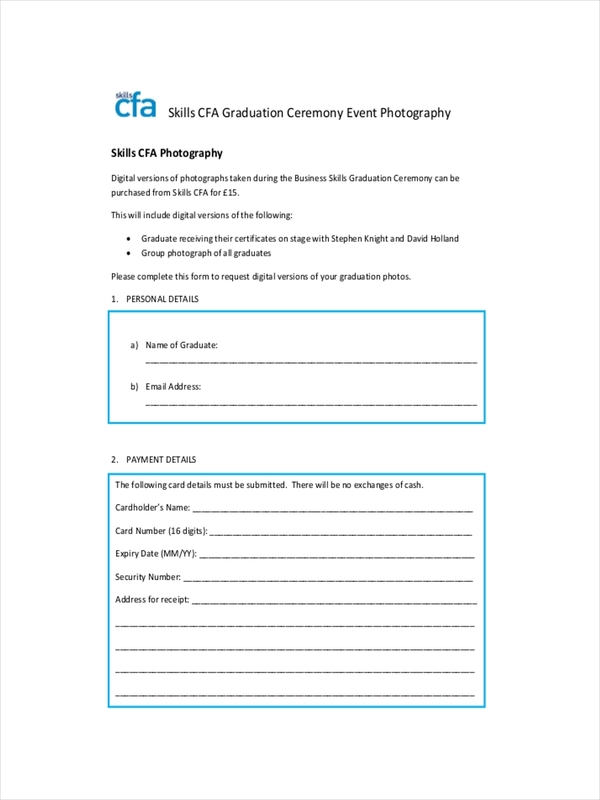 A photography receipt is a piece of document that contains vital information in relation to a business dealing that involves photography and videography or anything similar. It is both a requirement and a right. A requirement that should be accomplished by the business owner to his/her customer. It is also a right of the customer to secure a receipt. Although receipts are usually a piece of paper, nowadays they can come in different formats. There are receipts in Word, receipt in PDF and receipt in Excel formats. However, whatever format they come, a photography receipt still shares the same style as the others. 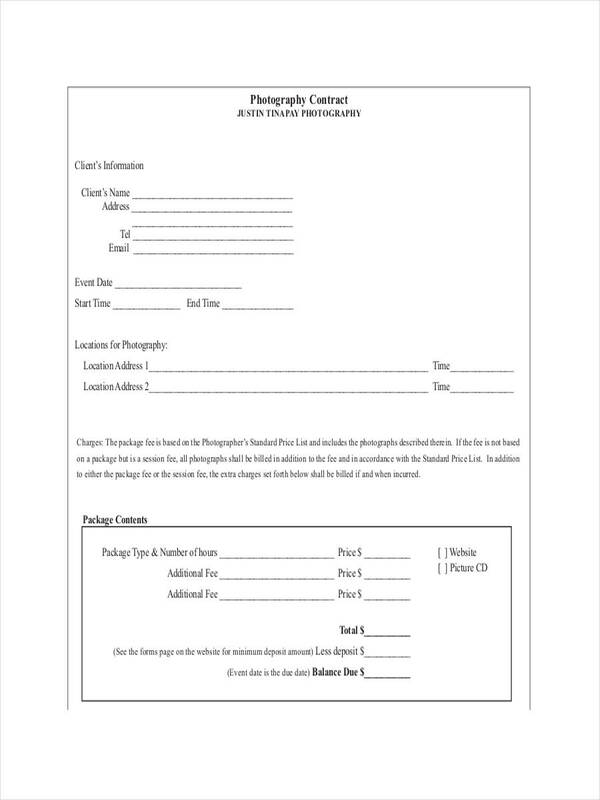 There are no special or strict requirements and standards that you have to follow when you write a photography receipt. However, there are certain factors or elements that it has to include just like a normal receipt examples. Start with your name. Write your business name or your name if you do a personal business preferably at the top of the page. This allows your customer to easily identify the receipt. Write the bill to information. This is another essential element. Always include your customer’s name and other relevant data. The items and their prices. A receipt cannot be called as such without the services or goods availed. Leave a space for these items. The importance of a photography receipt can be narrated in a variety of ways. Though we have to admit, a receipt example is mostly applicable in business. All of them, including a payment receipt, have both financial and legal importance. 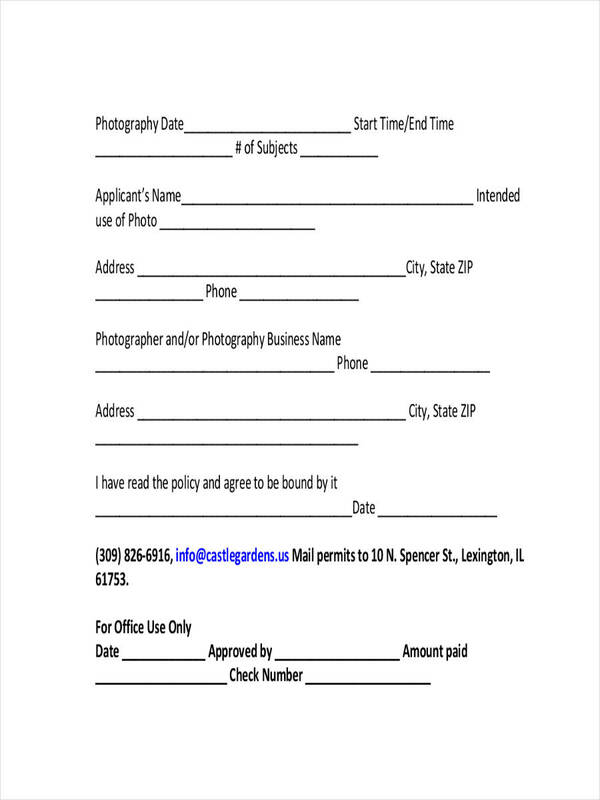 A photography receipt serves as a beneficial instrument in bookkeeping and accounting. If you are a photographer, you want to keep track of how much you earn in a certain period and helps you understand your financial status. 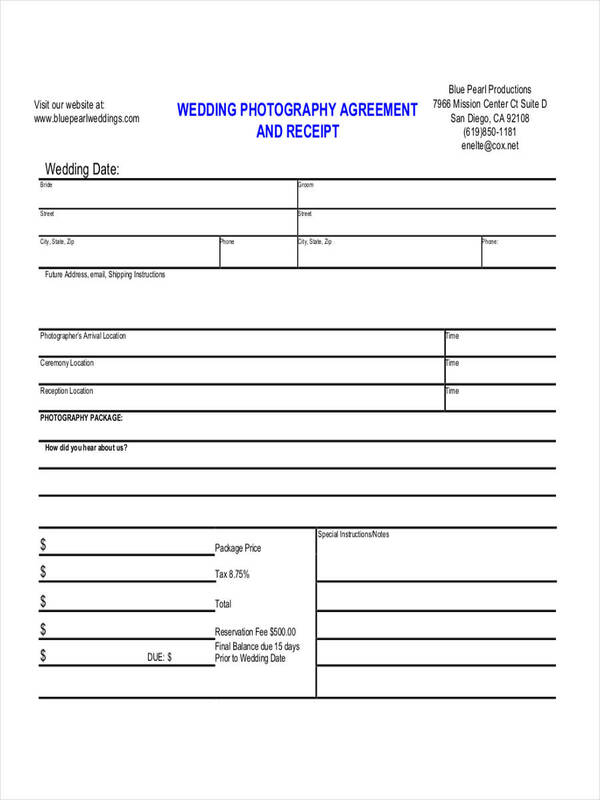 As a customer, it can also become a legal document in case a dispute arises. Just make sure that all the essential elements are found in your receipt. 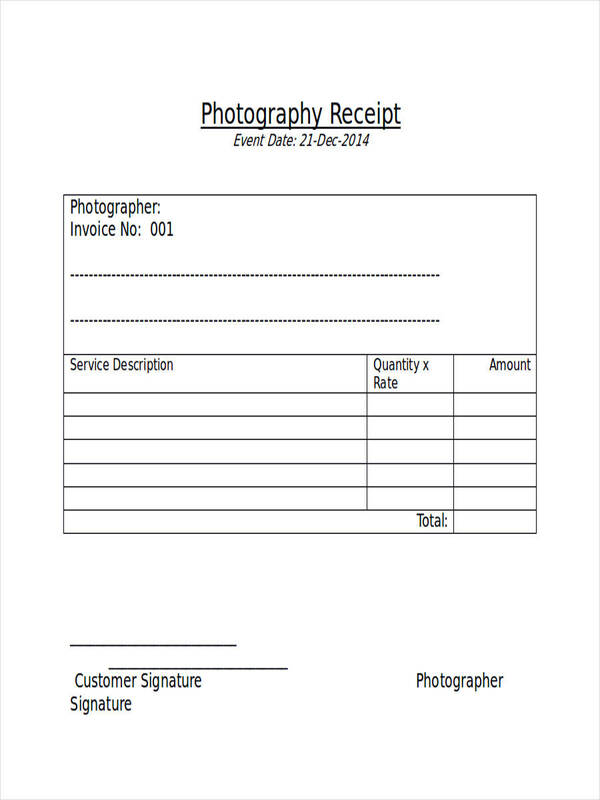 You do not have to be artistic and imaginative when writing a photography receipt. Follow these simple tips below and you’re good to go. Use a standard paper. Do not be too creative and use special or scented papers for your receipt. Just use a normal white bond paper. Utilize the fonts. If you are a photographer, you should be familiar with the different fonts. However, don’t try to be inventive. Only use the ones that can be easily read like Tahoma or Times New Roman. Observe proper outline. Aside from making sure that the vital elements of a receipt is there, use well-structured outline.